buy a load of new baking trays if I wanted to make some myself. so fiddly so if everything is presented to me in a box then I’m sold. eggs, and about 74g plus 40g of butter. risen and is firm to touch. on a cooling rack to cool for about half an hour. spoon and set aside at room temperature until you are ready to use it. so that it resembles fine breadcrumbs. water until ready to use. balls, and pop back in the fridge. dip the cake ball into the chocolate and carefully spoon over more chocolate. If the chocolate is a bit thick, add a few tablespoons of vegetable oil. Turn the stick, and coat evenly. It is best not to lift out and re-dip. stick a piece of green sweet into the top. refrigerate for up to a week, or you can even freeze them for up to 3 months! for me to worry about on Saturday morning! my first attempt! 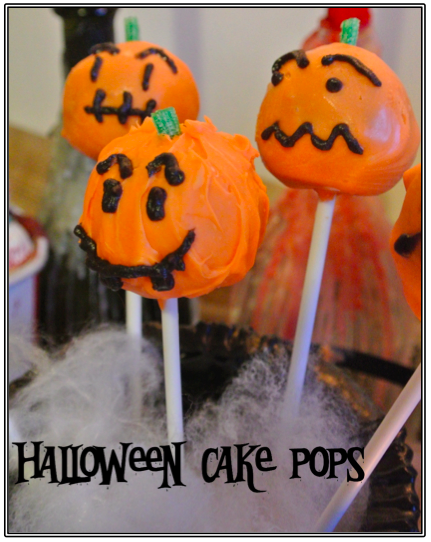 What treats have you been creating for Halloween this year?